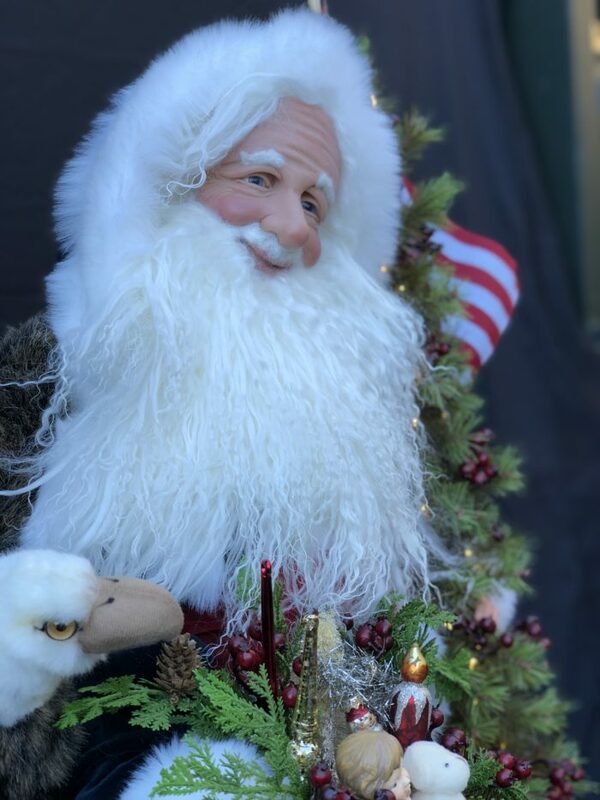 We Believe is a beautiful patriotic Santa. 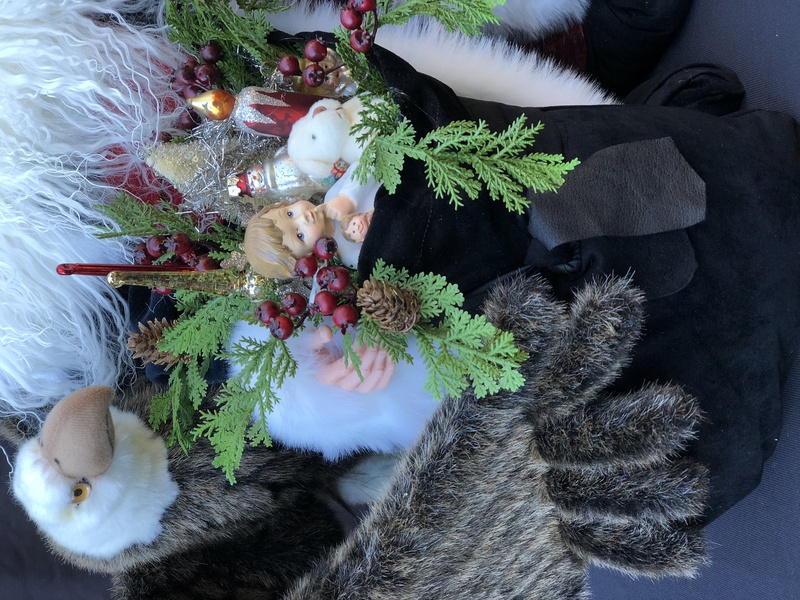 He is dressed in a navy-blue velvet coat with luxurious white faux fur. 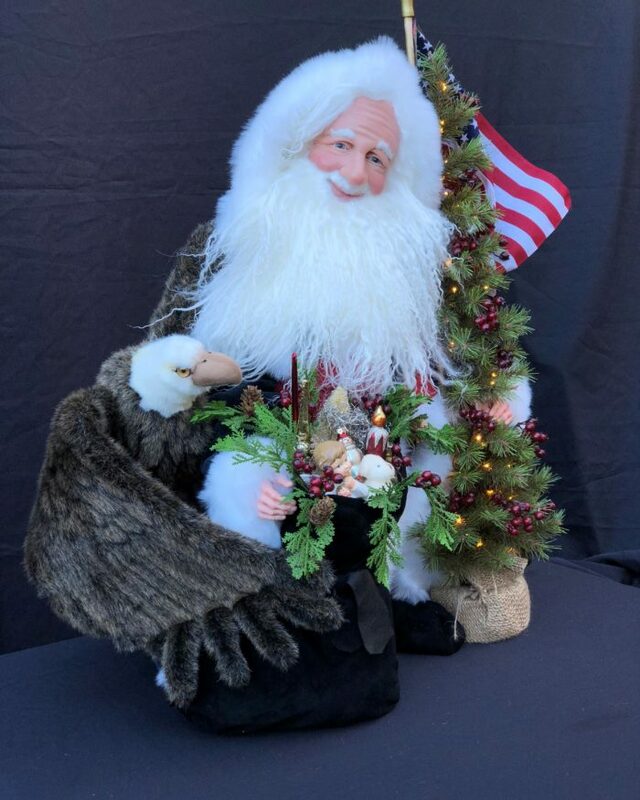 A realistic handcrafted eagle accompanies this Santa who is hugging a black suede bag of beautiful Christmas toys. 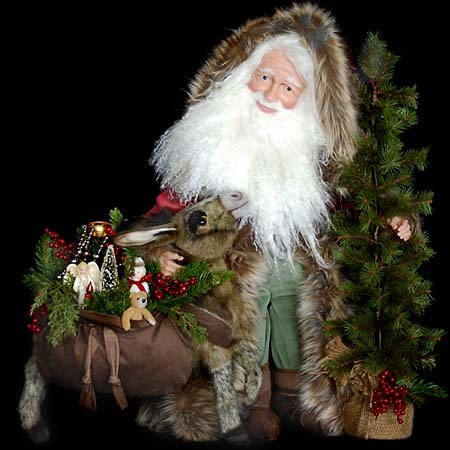 Santa has black suede boots and cummerbund. 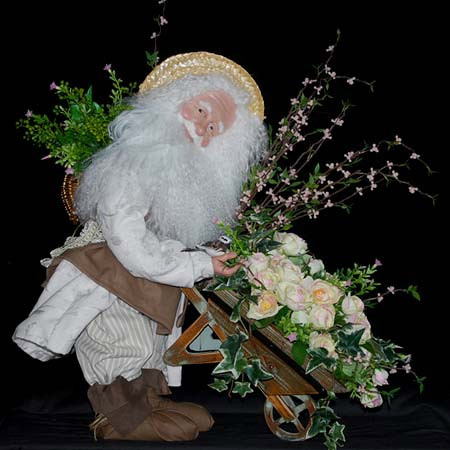 This Santa also holds a pine tree decorated with red berries and white lights. And of course, he has a giant flag to finish the look. 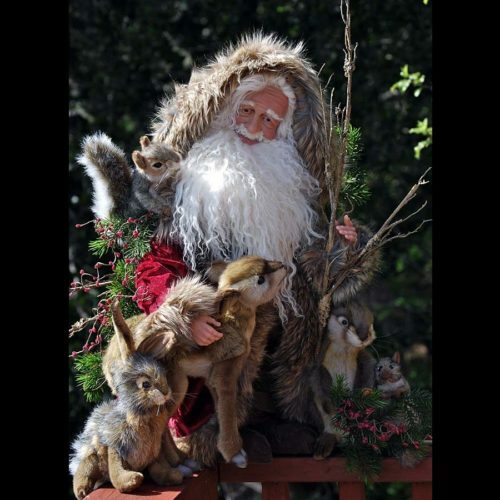 Like all Stone Soup Santa’s, he has a soft Tibetan wool beard and a hand sculpted face. This Santa will be a poignant addition to any Santa collection.